We service the Houston, The Woodlands, Spring, Tomball, Conroe, Kingwood, Humble, Katy, Cypress area for your convenience. Prom Limo for the Houston area – it’s the one school event most teens look forward to from the time they enter there senior year. From searching for the perfect prom dress/tux to eating at an extravagant restaurant and dancing the night away with friends, what’s not to look forward to? Of course, with all of the fun prom night can bring, comes some risk of danger, making most parents worry about the safety of their children. At MK Limousine Rental services, we’ve been providing special event transportation for prom night for nearly 13 years and know a thing or two about keeping your kids safe on one of the most exciting nights of their lives. Keep reading for some tips for a safe and fun prom night so both you and your child can have a great evening! Booking transportation through a reputable chauffeur service can give you peace of mind, knowing your child is being chauffeured by a professional and safe driver. When you book prom night limo service through MK, you’ll have peace of mind knowing your child is safe from the drive to dinner all the way to the drive home after the dance. We provide prom night transportation you don’t have to worry about; our chauffeurs undergo pre-screening criminal background checks, ongoing training, random drug testing and DOT compliance training as part of our commitment to your safety. Not only does booking transportation keep your child safe, it’s also more fun for them and their friends if they show up to g in a luxurious limousine, sedan or SUV, complete with a well groomed chauffeur dressed in traditional suit uniform! Your child will get to spend the entire evening with their friends, being chauffeured to dinner and prom, sharing memories they’ll never forget. Call 713-364-5466 to book you prom limo or party bus in the areas we service such as Houston, The Woodlands, Kingwood, Katy, Cypress, Tomball, Spring and Conroe. 2019 Houston Livestock Show and Rodeo, MK Limousines provides Rodeo Limo, Rodeo Houston Party Bus, Rodeo Transportation and Party Bus rental, Limousines, Concert Rodeo Limo, Time to ride in luxury to your see the best show or band in the world. MK Limousines is here to chauffeur you to all the immaculate venues the elite city of Houston has to offer! Contact us today and we can provide Rodeo Houston transportation to help you bypass the long bus rides and horrendous parking near NRG Park. Below we have provided you a list showing a few events providing services to and from. If your event didn't make the list let us know and we can make it happen: In case you were interested, our limo company provides services to any venue in the area. When that special evening arrives, every Limousine service in Houston metroplex will be on the road, guaranteed. So celebrate Rodeo night in style with MK Limousines. We get booked up fast so make your reservations soon. Call us 713-364-5466 . We also provide Rodeo Limos, Rodeo Party Buses service from Spring, The Woodlands, Tomball, Conroe, Kingwood, Humble, Katy, Cypress areas. Houston Texans To The Playoffs Book Your Limo Now! Get your friends together for the biggest Texans games of the year! 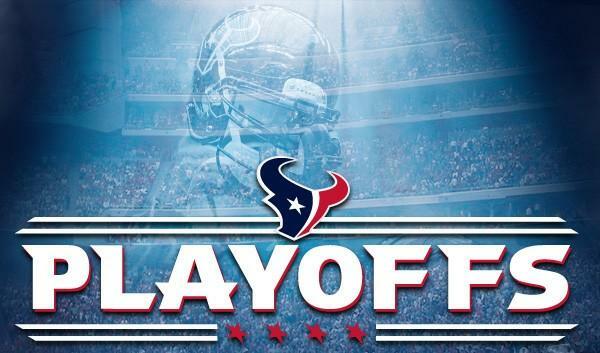 Going to the Houston Texans playoff games in a limo or party bus is always a great time and is an awesome experience. Attending a live Texans game with a large group of friends doesn't have to become a hassle coordinating rides, finding each other at NRG Stadium, locking in a decent parking spot or designating people to not drink. Our professional team at MK Limousines will centralize your transportation, pick up all of your friends, drop you at the door and be waiting for you after the game so you do not have to waste your time sitting in “the grid” or parking lot traffic. Our experienced chauffeurs will be your designated driver, allowing everyone in your group to relax, be present, and they can also get you safely to and from any pre-game celebrations. "Houston Christmas and Holiday Lights Tour"
Zoo Lights at the Houston Zoo that display lights for your enjoyment in Houston. Looking for something special this year for your limo Light Tour? Consider viewing the holiday lights in your area with family and friends in a "sleigh ride" - limousine-style. Light Tours can be customized to meet your needs and desires. All Limo and Shuttle Bus Tour destination options are available for any event. When that special evening arrives, every Limousine service in Houston metroplex will be on the road, guaranteed. So celebrate the Holiday night in style with MK Limousines. We get booked up fast so make your reservations soon. Call us 713-364-5466 . We also provide Christmas Light Limos Tours, Christmas Lights Party Bus Tour service from Spring, The Woodlands, Tomball, Conroe, Kingwood, Humble, Katy, Cypress areas. Houston Airport Transportation for Your Holiday Travels. The holiday season is rapidly approaching. And once it arrives, there’ll be plenty of traffic on the roads, especially as out-of-town guests visit from across the globe. Thankfully, you can eliminate the hassle of dealing with traffic and provide your guests with memorable travel experiences at the same time if you use a ground transportation provider. With a reliable car service from MK Limousine, your holiday guests will be able to get anywhere they need to go quickly, safely and comfortably. 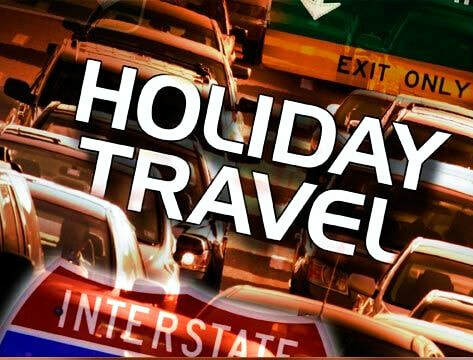 Plus, a ground transportation company takes the guesswork out of holiday travel, ensuring your guests won’t have to worry about how they’ll get to any holiday events. This holiday season, choose a ground transportation provider for your guests. By doing so, you can enjoy numerous benefits. Imagine how amazing it would be to rent luxury cars in Houston for your holiday travel. You should always splurge a little on yourself for the holidays. So, why not use a premium car service in Houston to get you where you need to go? Do these sound like an excellent idea, but one that’s not feasible for your holiday travels? The truth is that renting a car for your holiday trip can offer some significant benefits. There’s no place like home for the holidays, but we all know that travelling at peak season can be stressful. If you’re heading to the Houston area, an airport shuttle service or minivan transportation service can go a long way towards making your trip easy and relaxing, especially if you’re unfamiliar with the city. Whether you’re traveling a few miles to see friends or a great distance to see your grandparents, a car service can provide a vehicle that will fit your needs and you’re guaranteed to arrive on time! Traveling Alone? Solo passengers and couples can settle back in a reasonably-priced luxury car rental. The friendly staff, easy online reservation system, and professional drivers will make your trip a time to relax before the hustle and bustle of Christmas. Pick-up and drop-off service will save you the additional cost of a traditional car rental. Families travelling together over the holidays will love the convenience of Sprinter van rental. With a capacity of up to 14 people, it can carry everyone and everything for all of your holiday plans. Let the cousins goof around in the back while you catch up with your siblings in roomy leather seats away from the fray. All of those presents can be stowed in the ample luggage space! Business meetings during the holidays require that transit be smooth and reliable. Rent a travel bus to carry your organization to and from the airport, from their conference to the hotel, and out for that special dinner. Make sure everyone gets where they need to be on time. Large groups considering Christmas travel are easily accommodated regardless of whether everyone is arriving at the same time or across a span of days. Give us a call us at 713-364-5466 to book or fill out our FREE quote form...You’ll be glad you did. Houston Astros 2018 Postseason Playoffs Book Your Limo! Avoid Traffic Reserve Your Houston Astros Postseason Game Limo or Houston Astros Party Bus! We Service Houston, The Woodlands, Spring, Tomball, Kingwood, Conroe, Cypres, Katy Areas. Get your friends together for the biggest Houston Astros games of the year! Going to the Astros postseason games is always a great time and is an awesome experience. Attending a live Astros game with a large group of friends doesn't have to become a hassle coordinating rides, finding each other at Minute Maid Park, locking in a decent parking spot or designating people to not drink. 2018 Nutcracker Market A Great Houston Event! Book Your Limo or Party Bus For The Nutcracker Market! One of Houston's most popular shopping traditions is back with a new theme, hordes of new vendors, and a host of events. The 38th annual Houston Ballet Nutcracker Market has revealed its run date just in time for eager shoppers to set their calendars: November 8-11 at NRG Center. ​The 2018 theme this year is, "Cruising into Christmas," the annual fundraising event will boast more than 270 merchants from across the country, offering all things home décor, gourmet food, apparel, toys, candles, jewelry, novelties, accessories, and more. Proceeds from the sales — 11 percent — go towards the Houston Ballet's various programs. General admission tickets go on sale on August 15 online at Ticketmaster ($18). For tickets, dates, hours, and more information, visit the official site. So book your limo or party bus early to get your spot at the great event. Call us @ 713-364-5466 or send us a FREE QUOTE and reserve TODAY! Houston Texans Football Is Back For Another Season! MK Limousine Service provides Houston Texans fans with the best and most affordable NRG Stadium football game day limousine services. We specialize in making your Houston Texans football limo service one to remember for a lifetime! Your private chauffeur will pick you and your guests up and take you to the game in total comfort and safety. No need to worry about the parking and traffic - just sit back and relax and enjoy your luxury limousine, SUV or limo party bus! MK Limousine Service is the premier Houston Texans football event limousine and transportation service provider serving Houston and surrounding areas such as The Woodlands, Spring, Tomball, Conroe, Kingwood, Cypress, Katy. We excel at creating exceptional travel experiences with our seasoned team of professional transportation staff who are readily available to accommodate you and your guests travel needs. We specialize in providing affordable sedan, SUV, Sprinter van, SUV limousine, Sprinter limos, shuttles and mini bus services to and from the NRG Stadium (Houston Texans Stadium) located in Houston, Texas. Catch all the action from your private Houston game day transportation services and start the excitement as soon as you enter one of our luxury vehicles. MK Limousine Service operates a Professional Fleet of late model, luxury limousines, stretched SUV and plush Mercedes Sprinter limo coaches, that are clean and inspected to ensure the safety of our clients. Arrive to your business or special event in complete luxury and style. Our courteous and professionally trained chauffeurs will arrive promptly and will meet your specific needs and cater to your requests. MK Limousine Service will turn your game day party into an extraordinary event full of fun and excitement! Upgrade your Houston sporting event transportation and let MK Limousine show your friends the best evening ever with our optional after game limo excursions! Tailor your evening to your liking by taking your limo rental to your favorite Houston after game hot spots. Hit the city in style or visit some of your favorite sports bars - our professional chauffeurs are familiar with all of the local hot spots. Impress your friends, staff or clients with our customized Houston football after game limo services. We'll treat you and your party like stars and provide our ultimate VIP limo experience treatment! Don't miss out on our affordable and amazing Houston Texans after game limo services! You'll be taking photos and having a blast in one of luxury vehicles as you take in all the sights and sounds of the great city of H-Town. "The TNC World Still Needs Limo Service"
Using the fare estimator provided by Uber will give you an estimated price range for your distance; but there are some additional factors that aren’t taken into consideration until you are already in the vehicle. For example, Uber riders have reported noticing sudden price hikes in times when traffic is deemed to be heavy. This means that your estimated price might be way off for the same distance during traffic jams than in times when traffic is freer flowing. At MK Limousines, our fares don’t change based on the amount of traffic. 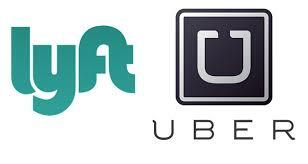 As surprising as it might sound, personal safety can also be a major concern when using Uber or Lyft. For example, practically anyone can become a driver for these companies which are not too strict. In short; the way to stay safe, fair pricing and no surprises is to use a reputable and experienced limousine service like MK Limousines. We can provide you professional, reliable service from limos, party buses and airport transportation in the Houston Metro area. How to Reserve a Houston Limo? How To Reserve A Houston Limo! ​Reserving a Houston limo rental service is a great idea? They are used on many special occasions, such as a wedding, rodeo, concerts, birthday, even prom or homecoming night. They’re also used for business trips, corporate meetings, and other business-related purposes. So, hiring a seasoned limo service that will provide you a great experience is the way to go. This may come as a surprise, but about 30% of all limousine services are provided during the work week, weekends are for big events and parties that constitutes about 70%. While limos and party buses are the first things folks think of when they think of limos, not as many people consider hiring a limousine for their everyday corporate transportation — but maybe they should. Limos are luxury vehicles, but that doesn’t mean that you have to be going anywhere luxurious. Anywhere you go, you want to arrive in style in a practical method of transportation. Here are some perks of hiring a limousine service during the week. Above all else, your safety matters. This is especially true when you’re in an unfamiliar location. As such, you’ll want a driver who not only knows the area, but who has experience driving in it. When you hire limo services, you can rest easy knowing that your chauffeur has undergone the necessary training and has the experience you need on unfamiliar roads. In addition, limousine companies ensure each driver passes a background check before hiring. No matter where you’re going, limo services will get you there safely. Renting a car or a limo from a service at the airport won’t give you knowledge of the local eateries or landmarks. But your limousine driver will! Even an Uber driver might not know the area as well as a seasoned limousine driver. The best experiences in a new place come from local people! Making an impression on people is one of the things that using a car service does the most. It gives people the impression that you are an important person just because you have a car that is right there to take you wherever you want to go. You want to make that first impression with your new business partner or a new client really spectacular? Then this service can come in handy. Being seen by people going in and out of a stunning looking limousine or sedan will surely do the work for you in creating a wonderful and lasting impression. One-way transportation is especially tricky to navigate. Say that you’re going somewhere and then planning to carpool afterwards. Will you be able to park your car? How much money will it cost? Will your car be safe there? You can use limo services just like a taxi. A limo will pick you up and drop you off whenever and wherever you need to go — as long as you tell them beforehand. Call MK Limousines today to book and reserve your limo, party bus or airport sedan service! MK Limousines offers first rate affordable, reliable limo rental, party buses, airport sedan and SUV services with great rates in The Woodlands, Conroe, Houston, Spring, Tomball, Katy, Kingwood, Cypress areas. MK Limousine is a locally owned and operated Limousine, Party Bus Rental, Airport Car service since 2006. We have earned the reputation as the finest, coolest and most fun professional limousine service in the Houston area. Our selective clientele expects only the best...and that is what we deliver. MK Limousine is serving all metro Houston and surrounding cities. We are fully licensed, insured. Copyright 2018, MK Limousines, Inc.